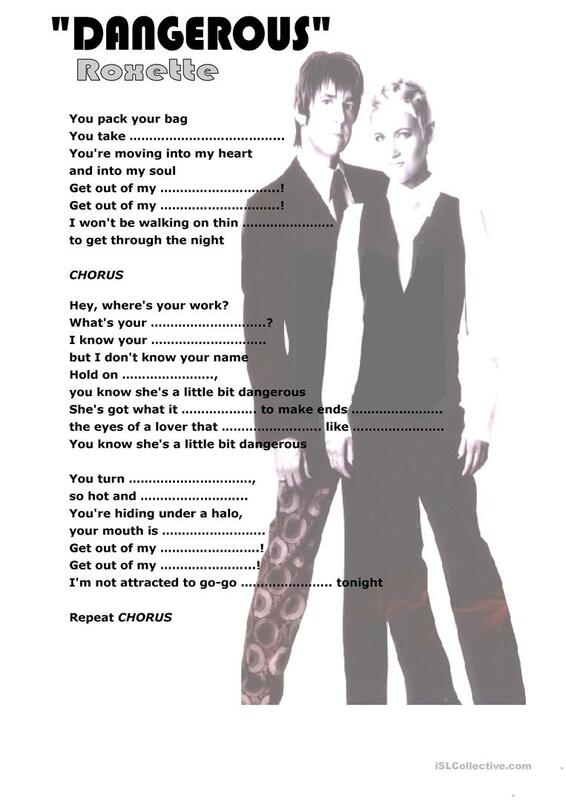 Enjoy this exciting song by ROXETTE, while dancing and singing! Do you remember the ´90´s? Well, so this song is just for you and your students will love it too! The above printable, downloadable handout is recommended for high school students, elementary school students and adults at Intermediate (B1) level. It is a valuable material for honing your students' Listening skills.